WPI’s hallmark projects program gives undergraduates opportunities to engage in research throughout their four years. Working with faculty members on campus in WPI's state-of-the-art laboratories, they are often valued participants in graduate research projects at leading research institutions (including University of Massachusetts Medical School) and with organizations around the globe through the university’s renowned Global Projects Program. Here our undergraduates have the chance to dive deep and explore what it means to engage in high-level research. That’s why employers and graduate schools are eager to accept WPI graduates into the workforce and leading graduate programs. They have the knowledge and the interdisciplinary skills needed to attack a problem from all angles. GCSP is a combined curricular, cocurricular, and extracurricular program designed to prepare students to address today’s grand challenges. The program supports and recognizes undergraduates who wish to combine any major with a passion to address significant issues facing society. Through GCSP, first-year students and sophomores have multiple opportunities to develop their research abilities, interdisciplinary and global perspectives, and entrepreneurial mindset, all in the service of society. At WPI, undergraduate students are actively involved in research with real-world impact. Through hands-on projects, lab work, and collaborations with faculty and peers, undergraduates are discovering innovative solutions to critical problems across a wide range of fields. 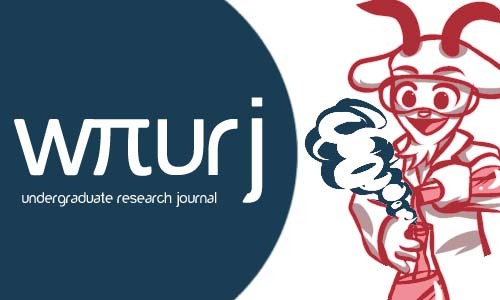 The WPI Undergraduate Research Journal (WURJ) provides a venue to share these impressive research achievements with the campus and larger academic community. The Henry Luce Foundation has awarded the university a Clare Boothe Luce Research Scholar Award. 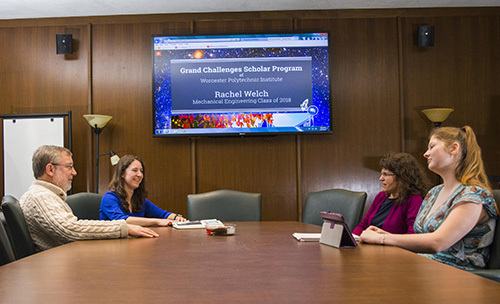 The grant will support research by undergraduate women in math, computer science, physics, and robotics engineering and will fund up to eight research scholars annually over a three-year period. The university each year celebrates undergraduate research through special awards and events, including Project Presentation Day—a campuswide symposium that gives every undergraduate the opportunity to share his or her Major Qualifying Project (MQP) with faculty advisors, sponsors, and the campus community. According to CUR, the definition of undergraduate research is an inquiry or investigation conducted by an undergraduate student that makes an original intellectual or creative contribution to the discipline. Visit the CUR website to learn more about the organization.